Migraine Monologues: Migraine Hangovers & Facebook Status Updates from hell…. Migraine Hangovers & Facebook Status Updates from hell…. Now don’t get me wrong. I love a good night out as much as anyone. I too literarily think I’m dying when I have a bad hangover and swear I will never touch any alcohol that is blue and comes in a test tube again. But people, for those of us with les migraines (that’s French for migraine) we get hangovers too, of a different sort. The kicker is we don’t get the fun night that usually precedes a killer hangover. The hangover I’m talking about is not self-inflicted. No-one really talks about migraine hangovers; the technical term is Postdrome phase. Yes, that’s right, a migraine is actually split up into 4 phases, fun! So once the ‘headache’ painful bit has passed, comes what I like to call the hangover. Not everyone experiences all phases and I’ll write about them in more fascinating detail another time. Recently, for me, the postdrome has been almost as bad as the migraine itself and can last for a day or two. I’ve debated with my Neurologist whether this hangover is due to the migraine itself or the Triptans I take. 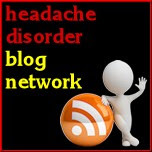 This phenomenon is actually an on-going debate within the migraine community, and the least studied of all the phases. I really wish they’d make a pill just for this bit. 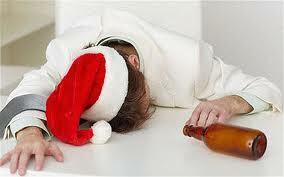 Basically, a migraine hangover is pretty much like your alcohol induced mega hangover. I feel like my whole body is bruised, specifically my neck feels incredibly tender, if you just touch it lightly - that hurts. My throat aches and I feel like I have cracked ribs and bruised lungs (if such a thing exists). And let’s not forget my poor tummy. Ow. In short I feel like I’ve been beaten up, like I’ve been mugged the day before. And then someone has kindly filled the world with knee deep water that I have to laboriously wade through to get anywhere. So, the best and only thing I can really do is lie in bed and wait for it to fade. Obviously I’m pretty knackered too, having been through anywhere between 4-72 hours of migraine fun. I usually pretend I’m floating on pink fluffy clouds as that would be less painful than my bed, which suddenly appears to be made of nails. So although the migraine has gone, one is not exactly in a great state. This is also a dangerous time, as if you attempt to do anything, such as force yourself to go out to a previously agreed meeting, there is a very real possibility that you’ll just invite Mr Migraine back for round two. Weirdly, I crave the same foods as when I have a normal hangover – i.e junk food/greasy fries, full fat coke. 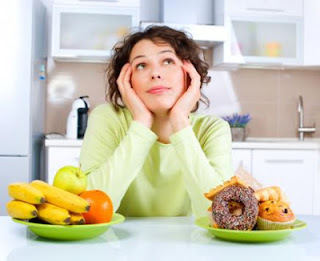 But sensible is to try and drink as much water as possible to flush out the system and eat fruit/fresh veg. Though Mum (otherwise known as Saint Jill) is always telling me to ‘listen to my body’, so…. I also just lather myself in hot water bottles but also try not to get too stiff, again as that could just re-trigger another migraine. As I said, it’s a perilous time. Plus, I’m a very useful friend to have around when you have a normal hangover. Being a virtual walking pharmacy I can dole out all sorts of potions and pills like Mary Poppins herself. Of course, the sensible option for a migaineur is to go home early or sip water all night. Alcohol itself can be a migraine trigger, but that’s a whole other blog post. In conclusion, it’s not that I have absolutely no sympathy for my non-migraine buddies who are nursing their hangover heads, it’s just that I had 10 hangovers of my own last month and only one was self-inflicted. If anything I miss not having the wild, hysterically funny tale of how I got this horrendous hangover. And now, if you’ll excuse me, I’m off to post some pictures of my extremely cute kitten on Facebook accompanied by some terribly witty remarks…. Do you get migraine hangovers? What are your top tips for this phase? I'm not part of a Cult - I just live at home! Luckily I haven't suffered an attack in months but when I did get them, yes the next day I suffered the equivelant of a hangover and actually called it that as well. I think for me this was due to the nausea and vomiting I suffered as a side effect from the migraine and was tehrefore dyhydrated which is a common side effect of the 'self inflicted' hangover. I think your right, drinking water is good after a migraine but I think Saint Jill is also right in that you also have to listen to your body. I have chronic migraines and i think yesturday i had my first migraine hangover i experience very sensitive stomach and nausea and almost vomitted but didn't. I get chronic migraines and the triggers are every where sometimes i just wanna crawl under a rock and stay there. but i can't have to take care of myself and my mom and animals and the house. I've been getting migraines for around 6 years now (one of the many joys of turning 18) and they've really ramped up the last year from a neck problem - until I read your blog, I thought I was the only one who got migraine 'hangovers'! I've been calling the day after a migraine a hangover ever since my first ever migraine and have never come across another migraine sufferer who calls it the same. I woke up the day after my first ever migeraine expecting to be pain free, but was unpleasently met with soemthing that was verging on the same scale! I was absolutely exhausted and felt as if I had just gone 10 rounds with Mike Tyson and needed a whole day just lying in bed sleeping and recovering. My friends have told me that I'm ridiculous naming the day after a migraine a hangover - but there really is no other way to describe it, and now I know it's a recognised thing! Thanks for sharing. Totally understand what u are talking about. Pain at some level I can actually function through. But once pain gets to "nightmare" level or in the hangover I feel like I can barely think and am completely unmotivated. I also hate the feeling you have in that stage that at ANY MOMENT your headache could rebound! So pleased to have found this blog. I had my first migraine attack may 30th my dad's birthday. I lost the ability to speak and could also not walk. I went to a and e where they said it was not a stroke but a migraine. I've since tried a variety of tablets which don't seem to help. On average I get 3 to 4 migraines a week. I am pleased you mentioned the post drome phase. During this bit the left half of my brain feels like its been on a marathon. I had a bad migraine tonight and lost my speech for about half an hour. I am now in the post drome phase my brain aches and I feel completely drained. Yes it was this May 30 I only remember the date as it is my Dad's birthday. I lost mt speech as he was driving me to a and e. They originally tried to tell me I had lost my speech as a result of a psychological trauma that I had hid so deep even I did not know it had happened. Neithr I nor my family are aware of any psychological trauma. Then they said I had a stroke but after a ct scan they said it was a migraine. They've never actually said what type of migraines they are. My G.P originally siad I was having panic attacks. Which I know they are not when I get migraines I am not panicing. I asked to be referred to a neurologist. He simply said I am a classic migraineur (I think that is how it is spelt). I am currently on 50mg of amitryptaline. I have also tried beta blockers, piftozen and sumatriptan, none actually work. I also asked my GP to refer me to a headache clinic in York but he said I have to try the medication first. I feel as thought since I have been diagnosed it's a case of you have migraines, that's it. Most of the treatments I have found myself. I have completely cut out alcohol and I have reflexology too. I read about topamax and asked my G.P if I could try that but he said I have to try 50mg of amitriptyline first. It has been so nice to find your blog as I was worried I was going mad. My Dad has migraines and so does my sister (as the neurologist said there is a genetic link) but neither of them loose their speech of have them as severly as I do. Mine can last anything form a couple of hours to 2/3 days. Hi, I can not believe they tried to make you think they were panic attacks or psychological!! That just makes my blood boil!! So you're not going back to see the neurologist again then? Was he a migraine specialist? I've basically discovered, and know others have too - that it's worth persisting to find a specialist (and migraine specialists are not always neurologist) that you like and can work with as the right one can make such a big difference. If you don't feel you're getting anywhere with your GP soon I'd really pester for that referral to the headache clinic in York - is that where your based? I also, firmly, believe it's good to get second opinions. 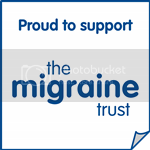 If you can travel down to london easily you don't need a GP referral to go to the fabulous National Migraine Centre - I bet they could even see you next week - you could see their new medical director - and you pay by donation. But there are some brilliant specialists in the north who I think, if you're struggling and its impacting your life, it's worth trying to see. I have chronic daily headache, and while I spend 2-3 days a week in the 'headache' phase of the migraine, I probably spend as much if not more time in the hangover phase. In some ways it's worse than the 'headache' phase because the intense pain is over but you're still walking around with a brain full of custard and a body full of aches. With getting migraines so frequently, the postdrome soon becomes the prodrome again. If I had real hangovers this frequently, I'd be an alcoholic! I love this post! I find it so reassuring that even though our migraines are so different in so many ways, we experience the same dreadful hangover phase! Makes me feel less crazy when I crave salty crisps and fizzy drinks. I was scoffing such treats the other day on the tube during a migraine 'hangover' and I was imagining that most people were thinking I had a proper hangover. I wanted to have a sign saying I was hungover but not through my own fault. And Fran, I also get really emotional. Again, nice to know I'm not the only one! i get the migraine hangover whether ive used triptans or not. the hardest part is when my little 9 yr old has to suffer as a result, missing out on a normal loving cuddly mommy!! maybe it will put him off getting drunk when hes older!! that would be one good thing to come out of this suffering!!!!!! Most comfortable bra I've ever found that also fits perfectly and gives great support. You won't believe it is a wonderbra ultimate bra, but I know I wouldn't look this good without the support of an underwire. Excellent price for the quality! Fancy a NICE day in Parliament? Introducing: MIGRAINEUR OF THE MONTH!